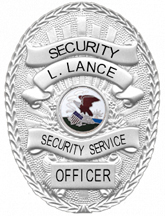 L. Lance Security Service, LLC was founded by law enforcement professionals that have over 50 years combined law enforcement and security experience. With positive relationships with both local fire and police agencies, we are able to provide you with an unparalleled level of service. Our officers and event staff personnel are trained to deal with issues in high visibility settings, such as festivals, concerts, sporting events and any other event which draws large crowds. Our contract security provides our customers with peace of mind, knowing that their employees, guests and buildings are protected. We tailor a security plan to fit your individual need and the needs of your business. Whether your need is long term, short term or temporary we are able to meet that goal.